In what looks to be the best Punk rock offering of 2019, Camp Anarchy brings out the best of the genre. 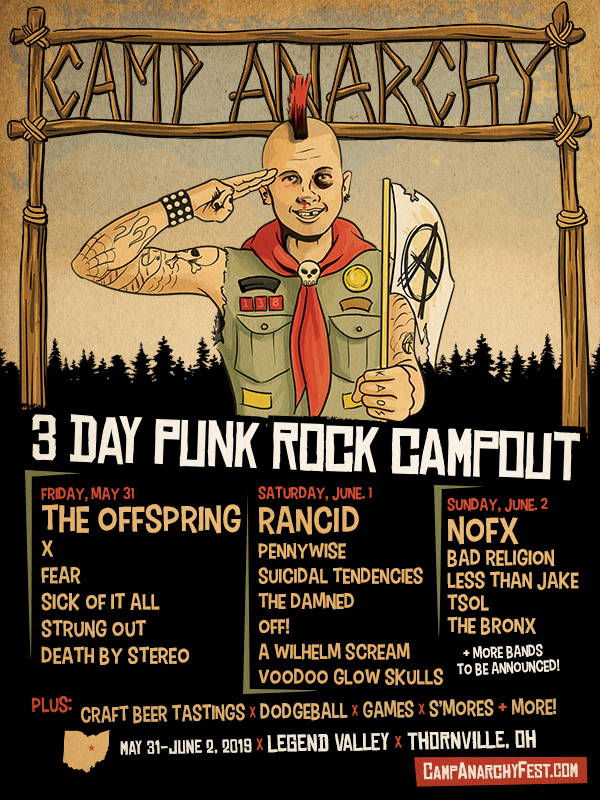 The inaugural punk festival brings together three days of roughing it, with The Offspring, NOFX, Rancid, Pennywise, and so many more. You’ll be camping out in the heart of the midwest. Sorry, no fuzzy slippers and room service. It’s a camp out! Camp Anarchy will be offering craft beer tastings, dodgeball, S’mores, games and so much more. After all, when the stage lights go down, that’s when the party kicks in. Join us in Thornville, OH at Legend Valley on May 31st – June 2nd. BRAND OF JULES Continue to Dominate with "Take it All Away"